Liverpool defender, Virgil van Dijk has broken silence on fellow teammate, Mohamed Salah’s lack of goals in the last seven games. Salah has not scored for Liverpool in his last seven matches, including the Reds’ 2-1 win over Fulham in the Premier League on Sunday. The 26-year-old is going through a dry spell in front of goal for Jurgen Klopp’s men but Van Dijk believes it is only a matter of time before the Egyptian international will start scoring again for Liverpool. “Mo is a world-class player,” Van Dijk told Liverpool’s official website. 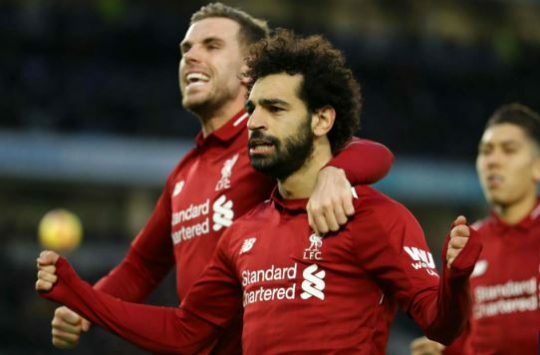 Salah will hope to score for Liverpool when they tackle Tottenham Hotspur in the Premier League on March 31. The forward has scored 17 goals in the Premier League this season and three goals in the Champions League.